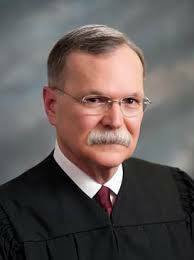 Kansas Supreme Court Chief Justice Lawton Nuss wants another $22 million to improve judicial pay but right-sizing Kansas courts could improve pay without charging taxpayers more. Nuss compared the plight of low-paid Kansas justice employees to the plight of African Americans seeking to desegregate schools and women seeking equal rights in his annual State of the Judiciary Speech Wednesday. Nuss noted that not everyone invited was in attendance, likely a reference to Senate President Susan Wagle. Gov. Laura Kelly, Lt. Gov. Lynn Rogers, House Speaker Ron Ryckman and Attorney General Derek Schmidt attended the annual speech. The occasion marked the first time a sitting Governor attended his address. The Chief Justice speculated some invitees skipped the event, because he often speaks about how justice employees and judges are paid below market rates. The judiciary branch has requested an additional $22 million from the state general fund next year. Nuss promised not to give a full list of the financial concerns of the judicial branch, however, he told attendees that the state’s 167 state judges’ are paid less than those in all other states and the District of Columbia. That’s after two consecutive years of pay raises, approved by the legislature, Nuss said. With pay of about $125,000 per year, Kansas district court judges earn $32,000 less than the national average. 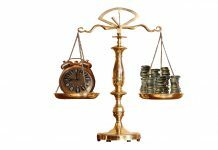 Nuss said that the state’s investment in the judicial branch’s 1,600-plus employees, including 267 judges, is less than 1 percent of the state’s budget. The 2017 pay listing for the Kansas Judiciary is available at KansasOpenGov.org. 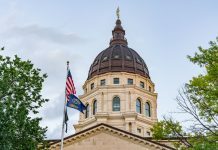 “…You can perform your own analysis of the consequences this level of judicial pay can–and will– have on providing justice in Kansas and the standard of justice that Kansans expect and deserve,” he said. Attorney Mike O’Neal, also a former Speaker of the Kansas House, says one reason for the disparity in pay between Kansas judges and those in other states is that Kansas law requires that the state have at least one judge per county. 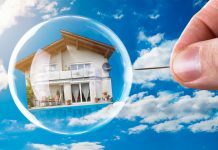 “That might answer the question as to why we have so many judges to divide a limited amount of resources to,” O’Neal said. Kansas has 168 district court judges and 78 district magistrate judges in the state’s 31 judicial districts. By comparison, Nebraska has 56 district court judges and 58 county judges in 12 districts. With a population of 2.9 million, Kansas has 11,835 residents per-judge compared to 16,923 residents per-judge in Nebraska. 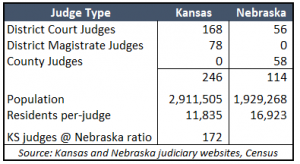 So if Kansas was staffed at the Nebraska level, there would be 74 fewer judges, and likely quite a few less support staff. Kansas district judges aren’t paid based on their caseload, so there are justices in rural parts of the state with much smaller caseloads than those in the populous counties. Instead of re-allocating resources to place judges where larger caseloads exist, the legislature in the past has simply added more judges in places like Johnson, Sedgwick and Wyandotte counties. Before serving as Speaker of the House, O’Neal chaired the House Judiciary Committee. He attempted to forward legislation that would’ve eliminated the state requirement for one district judge per county to no avail. In his speech, Nuss limited the amount of time he spoke about judicial pay, highlighting recent efforts of the Kansas Judicial Branch and introducing the audience to six judges. Each of the introduced judges served as a representative of some of the types of work all Kansas judges do. For instance, he introduced Judge Kelly Ryan from Olathe. “He represents our judges who imposed criminal sentences in the more than 22,000 felony cases and more than 14,000 misdemeanor cases filed last year,” Nuss said. Last year, judges like Ryan used sentencing alternatives and their discretion to determine appropriate sentences for nearly 150 cases that involved the killing of a human being. Other judges in attendance served as examples of those who presided over sexually violent predator cases, capital punishment cases, more than 7,000 child-in-need of care cases, and child abuse cases. He also highlighted efforts to implement eCourt. Calling it the biggest improvement to the Court since statewide court unification 40 years ago, Nuss said eCout will streamline processes for filing the 400,000 cases that pass through the state courts each year, standardize some court practices, improve data sharing, and provide public access to frequently requested court information. “The professionals of your Judicial Branch–some of whose work I have described today–are doing their best, all year long, to keep Kansans noblest of all,” Nuss said.